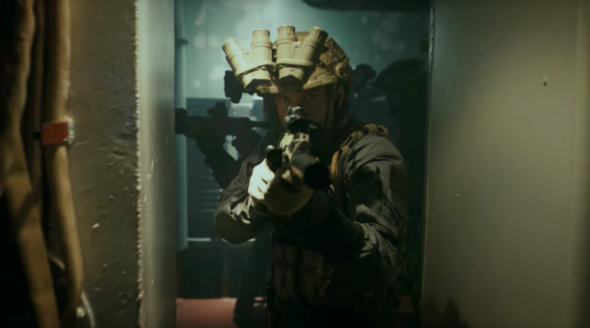 “Sir, my team wants that mission.” History has released a new preview of their upcoming series Six. The drama is inspired by real-life missions of the Navy SEAL Team Six. The cast includes Walton Goggins, Barry Sloane, Kyle Schmid, and Juan Pablo Raba. Six premieres on July 18th at 10 p.m. ET/PT. What do you think? Do you watch the History channel? Will you watch Six? More about: History TV shows: canceled or renewed?, Six, Six: canceled or renewed?